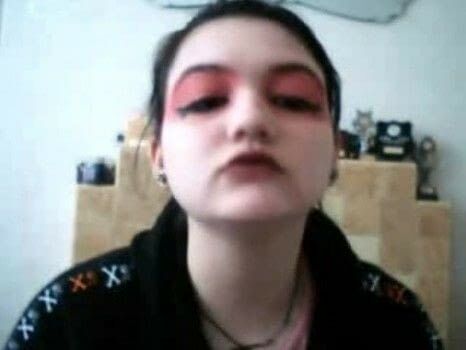 This is my emo/scene make-up i forgot to put on the mascara but it doest matter. Pleaase dont put horrible comments becuae they will just be deleated and this is on hear to help people if you dont want help they dont watch, simple as. i'mjustgoingtohopethatnobodymeanswhatheysayinabadway.. I like your idea. I'm planning on doing a tut for one of my looks eventually. Goshh people are so mean in the comments. Shes just trying to show people how to get her look. I think you do a great job Honestly though you look fabulous without the make up!